Batman's cowl really makes the outfit. 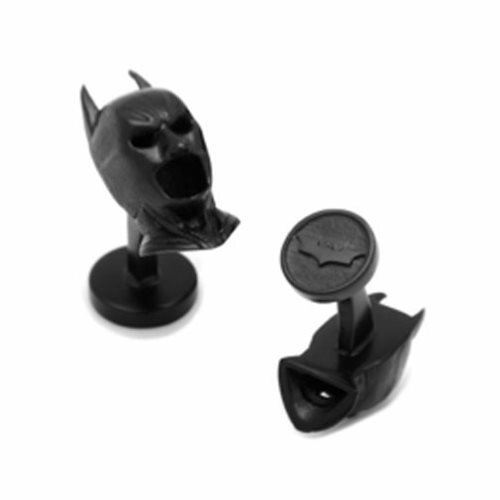 Do the same with these Batman 3D Cowl Cufflinks! Not only will you be dressed all fancy like Bruce Wayne, but you'll be ready to go with Batman's cowl on your cuffs! Measures approximately 3/8-inch wide by 3/4-inch tall. Ages 13 and up.